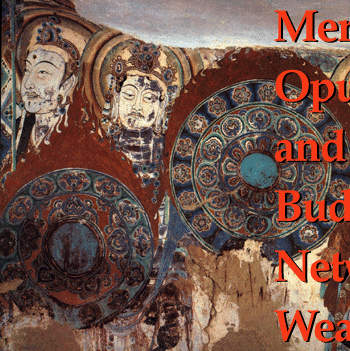 Merit, Opulence and the Buddhist Network of Wealth was a project directed and conceived by Professor Sarah Fraser, from the department of Art History, sponsored by Northwestern University and the Dunhuang Research Academy with funding from the Henry Luce Foundation. This initial project represented a collaboration between the MMLC, Academic & Research Technologies, and the Department of Radio, Television + Film. In an attempt to convey the entire effect of interiors, the project team worked closely with Professor Fraser to develop 3-D models of selected Dunhuang cave-shrines. Mellon International Dunhuang Archive (MIDA) Following the work of the previous investigation, a far more comprehensive digital project was launched with substantial assistance from the Andrew W. Mellon Foundation. Over the course of several years, Northwestern photographers, digital content specialists, subject matter specialists, and crew teamed with the Dunhuang Research Academy to fully document over 25 cave shrines. Wall surfaces were photographed using the latest high-resolution digital photography post-processing techniques to produce a navigable interface for scholars to investigate both macroscopic and minute details. In addition, these mega-scale images were reunited with scans and photographs of associated artifacts and historical photos to create a unified archive. The MIDA archive became an inaugural collection of ArtSTOR, following its launch in 2003.